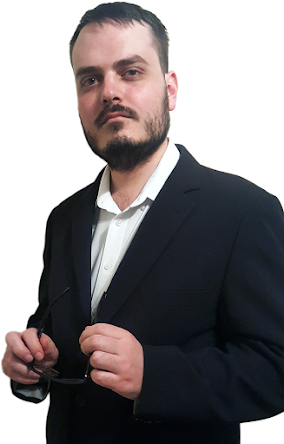 ~The SACNS News Service: Your Linked In Password is Likely Compromised! I just logged in and am changing mine as we speak! 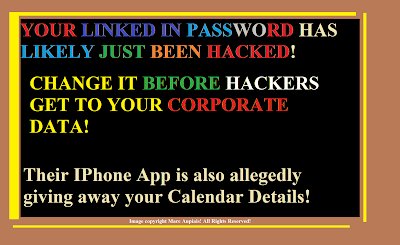 As we speak, thousands of passwords are being decrypted by evil hackers, so change yours fast! 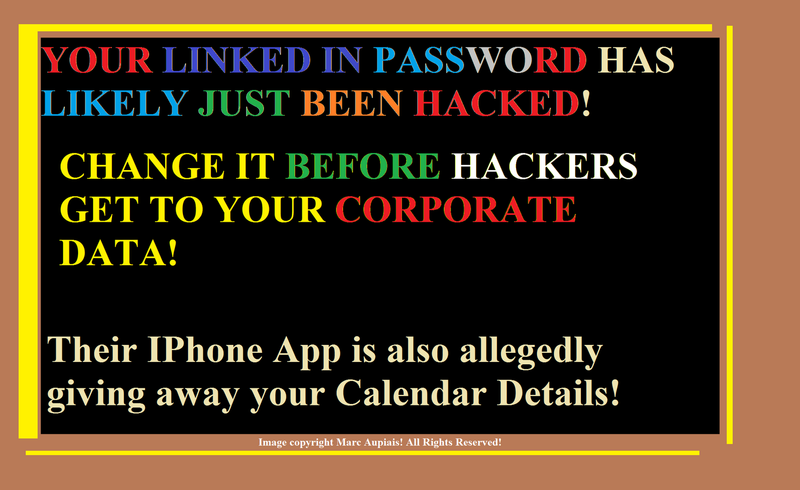 Your Linked In Password is Likely Compromised! I just logged in and am changing mine as we speak! As we speak, thousands of passwords are being decrypted by evil hackers, so change yours fast!